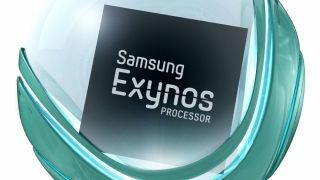 Samsung has announced its new Exynos 5 Dual CPU for tablets PCs, providing more power and larger screen resolutions. Samsung reveals the Exynos 5 Dual has a GPU capable of supporting a WQXGA display solution, which transcends to an eye popping 2,560 x 1,600 pixels – better than Apple's Retina display (2,048 x 1,536) found on the new iPad. It also features a Cortex-A15 dual-core processor clocked at 1.7GHz, and supports 1080p, 60fps video decoding, the "best 3D graphics performance" and high-speed interfaces such as USB 3.0 and SATA3. So what does this all mean for us? Well it looks like Samsung is ensuring it's well equipped for the next generation of its Galaxy Tab range – with the Exynos 5 Dual ready to take on Apple and its iPad. We can expect the next Samsung tablets to sport stunning displays, putting them on par with, or even super-ceding, Apple's Retina display. The beefy dual-core processor will also see 3D, console-quality gaming take another step forward on tablets and with improved full HD video support, watching movies on your slate will become a simpler and more enjoyable experience. There's currently no word from the Korean firm on when the Exynos 5 Dual will appear in devices, however ARM has hinted that a new Samsung tablet, complete with an Exynos 5 processor, could be with us before the year is out.